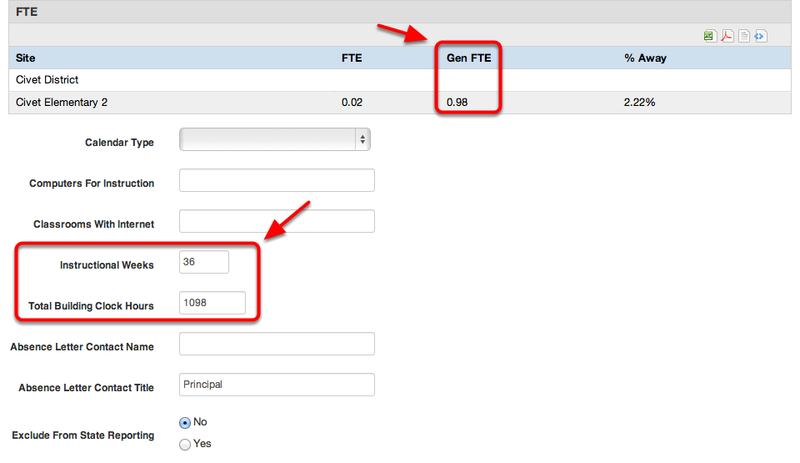 This lesson serves as a guide to the General Education FTE Component of the Michigan Student Data System submission. The Gen Ed FTE characteristic can be found on the Special Ed Tab-> Student FTE Details. The General Ed FTE is generated by comparing the students time in general education with the time (if any) in special education programs to the total number of clock hours and instructional weeks at a school.